Email is important. We want you to know that we know that. Also, we understand that you want to access your email in many different ways. Harmonic Mix Email is compatible with mobile devices like iPhone, iPad, Android, Windows Phone OS and others. Harmonic Mix Email is compatible with web browsers like IE, Firefox, Chrome, Safari and others. 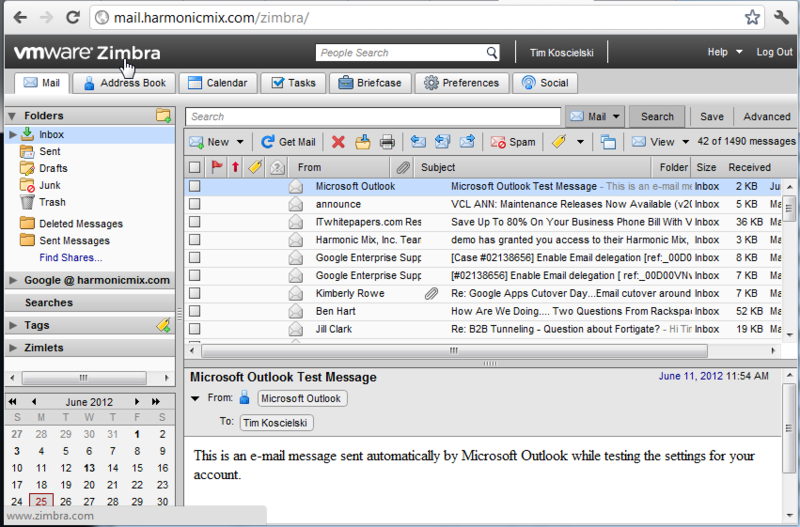 Harmonic Mix Email works with email clients like Outlook, Outlook Express, Thunderbird and others. We want to keep this simple for you and we want you to easily understand how all this works. Web Email and Spam are separate. The login to both systems is your full email address and email password. This is meant to minimize the number of passwords that you may need to remember. Harmonic Mix uses a state of the art set of processes to help manage the flow of spam to your email inbox. When your account is created, all inbound email is automatically scanned by the security gateway. 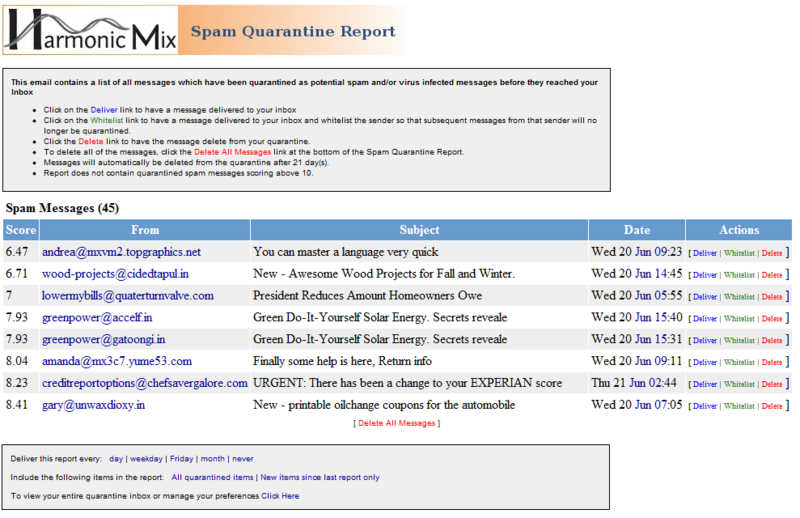 Any email that is flagged as spam, is archived on this gateway for you. Archived email can always be accessed and reviewed using your email login. Initially, when you have spam email, a daily digest summary of all your spam email will be sent to you. From this email, you can see the subject of an email and who it is from. You can also release email, tag the sender as a valid sender or delete the email from your spam archive. Below is a quick preview of a sample digest email. How do I change how often this report is sent to me? At the bottom of the email, the report can be adjusted using the "Deliver this report every". How do I deliver a message in this list? Select the "Deliver" option from the "Actions" column for the email. The email will then be delivered to your Inbox. How can I whitelist my friend so his emails won't be tagged as spam? When you select "Whiltelist" from the "Actions" column, the From email address is added to your custom whitelist selection. When you access your email from a web browser, you will be prompted for your user id and password. Please remember that your user id is your full email address. Once you login to your Inbox, you will have access to your address book, calendar, task list and preferences. 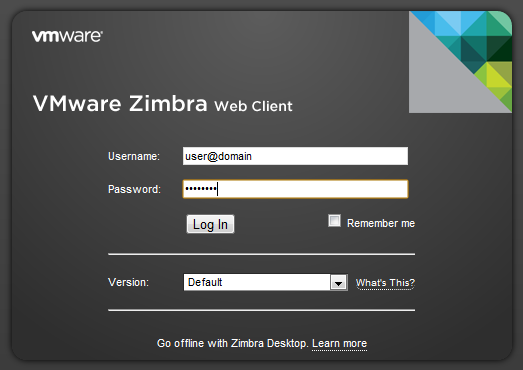 All questions about the webmail client can be found under Help.